Gutters need love too... Over a period of time your gutters can become full or even blocked by all sorts of debris, tennis balls, dead birds, moss or just leaves etc from nearby trees. 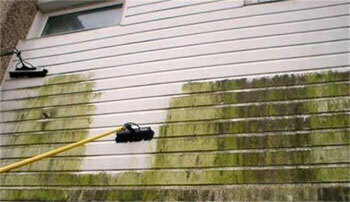 A regular inspection and clearout will avoid costly repairs should the worst happen. 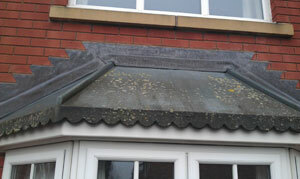 The guttering, fascia and soffits also benefit from a good clean from time to time as well. 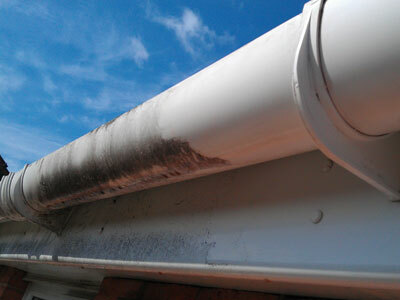 Once upvc guttering and fascias have become really black and soiled they can be very difficult to restore. An annual clean will keep them looking great all year long. A full emptying and check of downspouts and joints cost around £30 per side. 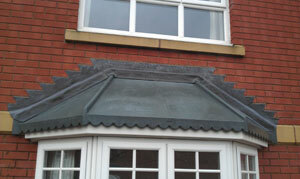 A full clean of gutters, fascias and soffits will cost on average £55 per side.